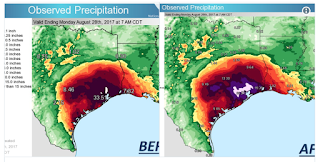 New colors on the NWS maps were prompted by Harvey. The newsletter is a bit late and a bit short this week. I'm sure you would agree that my students should come before this "recreational" activity. 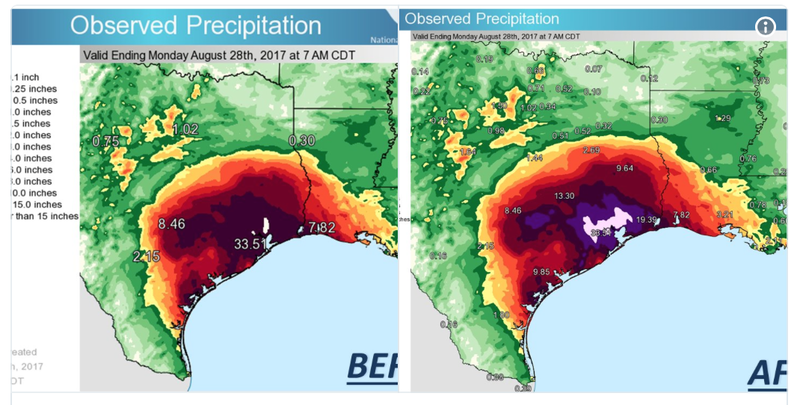 EagleView captured and shared imagery from Harvey. Interestingly, it has a trigger warning. Woolpert's imagery does not. WaPo: The Intersect: Thanks to Harvey, Snapchat’s map feature went from being kind of creepy to really useful - SnapMap because a solution during the disaster, rather than a solution in search of a problem. The Day: Cadets create maps to help Coast Guard with Harvey rescues - Two cadets at the Coast Guard Academy helped map social media requests for aid. NPR: Early Data From Harvey Shows Epic Flooding - NPR covers maps made by Nick Santos at the team at University of California, Davis Center for Watershed Sciences. Nick teaches the GIS Specialization on Coursera. 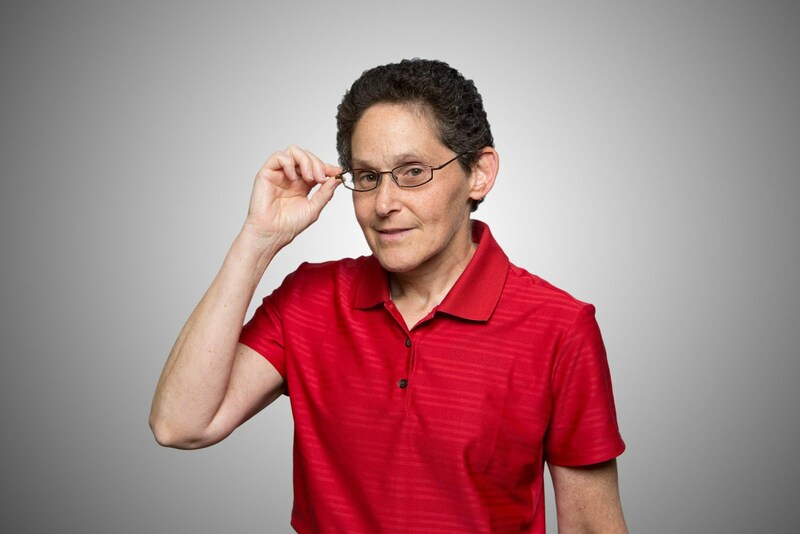 Trajectory: Expanding Geography Education Dr. Camelia Kantor joins USGIF as director of academic programs - The article introduces to the new director. The Sentinel: Drones deliver high hopes - Colorado Mesa University students explore drone use for oil and gas sites. Press release: "The ArcGIS Book: 10 Big Ideas about Applying The Science of Where, Second Edition, and its companion website offer all the information and interactive education resources needed to jump in and start to use web-based geographic information system (GIS)..."
Chalkbeat: I’m a Houston geography teacher. This is my plan for our first day back — as soon as it arrives - Alex McNaughton, who teaches history and geography at YES Prep Southeast in Houston ponders geography's role during this unique back to school situation. A few researchers are working on a project about the solar eclipse on 21 August.They are looking for stories of those who witnessed the event via this survey.